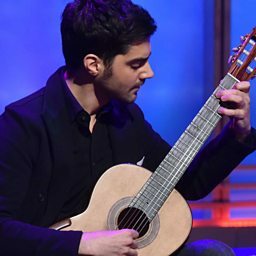 Giulio Regondi (1823 – 6 May 1872) was a Swiss-born classical guitarist, concertinist and composer active in France and (mainly) the United Kingdom. Regondi was born of a German mother and an Italian father in Geneva, Switzerland. A child prodigy, Fernando Sor dedicated his Souvenir d'amitié op. 46 to Regondi in 1831, when the boy was just nine. There is a reference to his appearing in London in 1831, presented as a child prodigy of the guitar. Most of Regondi's concertina music was written for the English system, however, at which he was a virtuoso, though his guitar music is probably better known. His works for solo guitar comprise a set of etudes, variations on a theme by Bellini and five larger works.